The weather is finally cooling down and starting to feel like Fall! When I say “cooling down”, I actually mean anything but the 90 degree Florida temps. 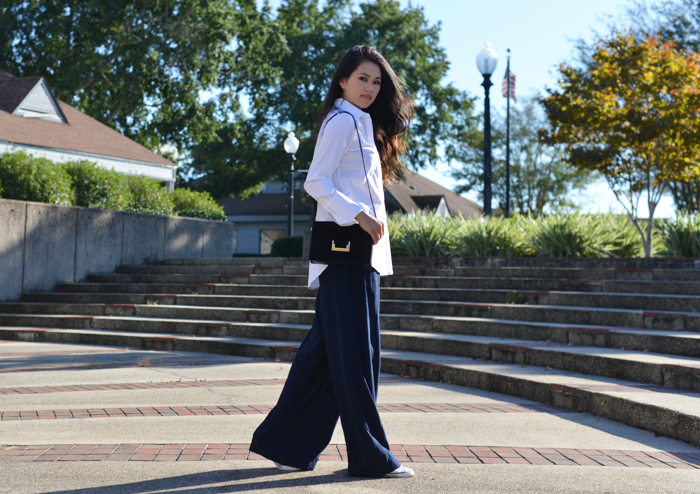 What better way to transition than with light-weight tops and long flowy bottoms. Stein Mart is stepping up their game and is now carrying your favorite premium brands! Their newest capsule collection, The Platform include signature pieces for everyday wear. 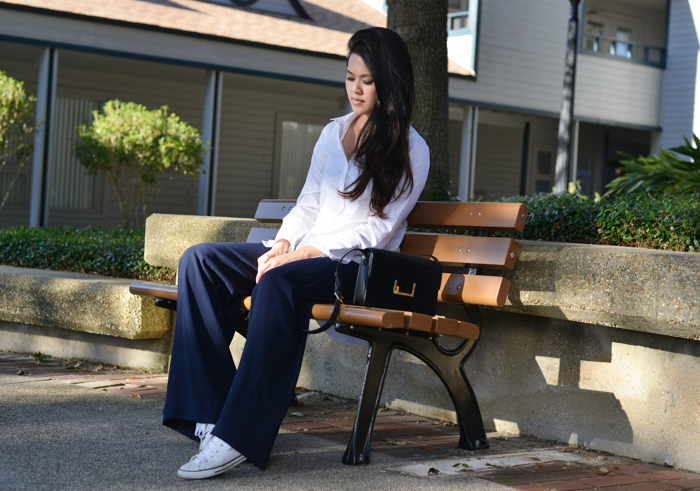 For this minimalist look, I am wearing Nanette Lepore's wide leg trousers! 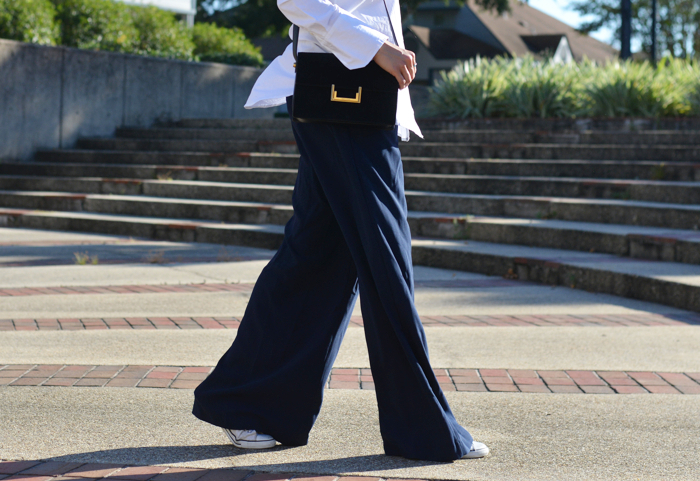 I paired it with a crisp, tailored blouse and matching sneakers. Be sure to check out more styles at Stein Mart! Disclosure: This post was brought to you by Stein Mart. All my opinions are my own.